When Amazon rolled out the Echo, you could argue they succeeded in selling you a device you didn’t even know you needed. If the voice of Alexa was not enough, you can now enjoy the benefits of a voice assistant alongside the added benefit of a touch screen. 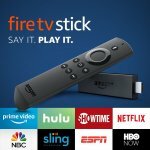 Things are still mainly voice-controlled but when it comes to streaming media or smart home devices, the screen is a nice bonus. In today’s Amazon Echo Show review, we’ll walk you through the best and the worst of this pioneering device. Is it just what you didn’t know you wanted or an unnecessary luxury? Design and aesthetics are always to some extent subjective. One man’s meat is another man’s poison. The Echo Show is certainly something of an acquired taste. Weighing in at 2.5 pounds with a striking slanted design, the footprint is about 4 times bigger than a standard Echo. The intention is that the device stands front and center rather than blending in. Overall, the look is a mash-up of modern edges with a retro touch. You can choose from black on black or white with a black front. The speakers are tucked away in a plastic grill. The 5-megapixel camera is up above. 8 microphones are set around the buttons. These 3 buttons are the only physical controls available. WiFi connectivity means there is only a single cord. Although you can touch the screen, the core purpose of the Echo Show involves voice control. The screen is of limited importance. Overall, you’ll either love or hate the way this nifty piece of kit is designed. Instead of apps, the Echo Show boasts Skills. The question here is just how valuable is a screen for what is effectively a spoken assistant? While it’s nice to be presented with song lyrics as you stream music, this is nothing particularly new. It is, though, nice being able to see items you plan to order online rather than relying on a description from Alexa. It’s very early days for the development of visual skills but Amazon are working hard in this area. The good news is that most of the existing skill-base is not heavy on the visual element. Overall, the power of the screen is not currently being fully harnessed. Although you can call up YouTube movies or take advantage of Amazon’s Instant Video service, the flaw here is the size of the screen. Consider the Echo Show’s Skills very much a work-in-progress. Many reviews of the Echo Show trot out the same variation on the “Just good enough” theme. That neatly sums up the audio capability. 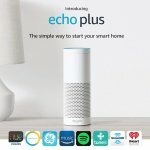 Where the original Echo comes with a woofer and tweeter combo, the Echo Show has a pair of 2-inch speakers. The sound is fairly underwhelming. Bass sounds fine until you get midway up the volume scale. At this point, there’s a significant drop in clarity. It’s not particularly surprising that the sound quality is not on a par with dedicated external speakers but it is certainly unexpected that you don’t get a noticeable upgrade from the Echo. As with many other aspects of the Echo Show, video calling is rather limited. 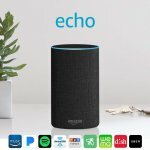 You can communicate with anyone who has an Echo Show or anyone using the Alexa app. There is no cross-functionality with either Skype or Facebook Messenger. You’ll also have the option of switching to voice call or sending voice messages using Alexa. The Drop In feature lets someone you trust start up a video call without you accepting it first. You will, of course, need to opt in (or out) for each contact so it’s not a case of random people disturbing you. The feature is disabled out of the box so you won’t get any nasty surprises. There’s a loud warning tone when someone is about to join you. This is followed by 10 seconds where the display is fuzzy and frosted then it’s game on! Whether you want to check in on a baby or an older member of your family, this feature might sound slightly strange but it does have genuine uses. For anyone who works on the road, it’s a great way to surprise the kids with a quick video call over dinner. Either use it or leave it disabled and it’s a win-win. You’d need a dock and stand to set up the iPad in the same fashion as the Echo Show, though. That drives the price up. Also, it’s tough to keep an iPad in one spot, particularly if you have kids in the house prone to roaming around with it. The other serious drawback of the iPad, if you’re looking for a voice assistant, is that Siri is simply not as competent as Alexa. Although they might seem superficially similar, comparing the Echo Show and the iPad is like comparing apples and oranges. Now it’s time to break down the principal advantages and drawbacks of the Amazon Echo Show before we round out. Competition in the digital assistant space is fierce and growing. With Google Home already in place and Apple soon to launch their eagerly anticipated HomePod, Amazon needs to keep on their toes. 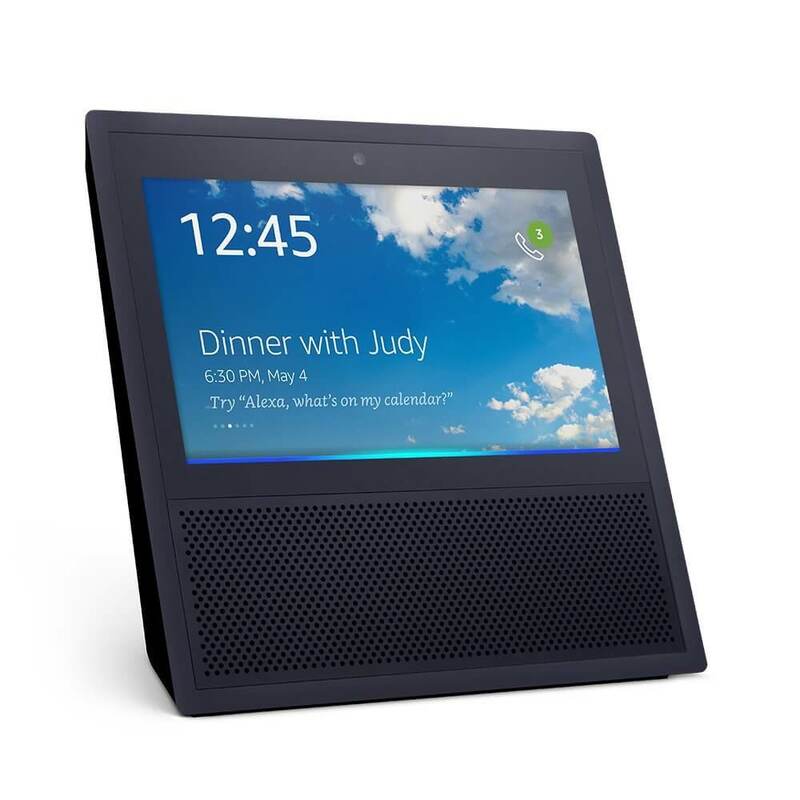 There have been significant improvements over the Echo and, for now at least, the Echo Show is right up there with the best home assistants. As more Skills are rolled out and further tweaks made, the future is bright for this handy device. For now, the screen is not really of much genuine use. Both the sound and design have been compromised by the screen so that’s something of a blow. Still, it won’t take long before more use is made of visual. Overall, Alexa stomps all over Siri. If you are looking to enter the world of digital voice assistants, this makes a superb starting point. For the price, it’s well worth road testing if you want an intuitive and versatile digital assistant with a twist.